“Our Little Fluffy line brings FluffyCo’s design aesthetic to babies in a line of fun, colorful graphic onesies and tees. Each garment is 100% organic cotton, made in the USA, and printed by hand in our San Francisco studio using water–based inks. 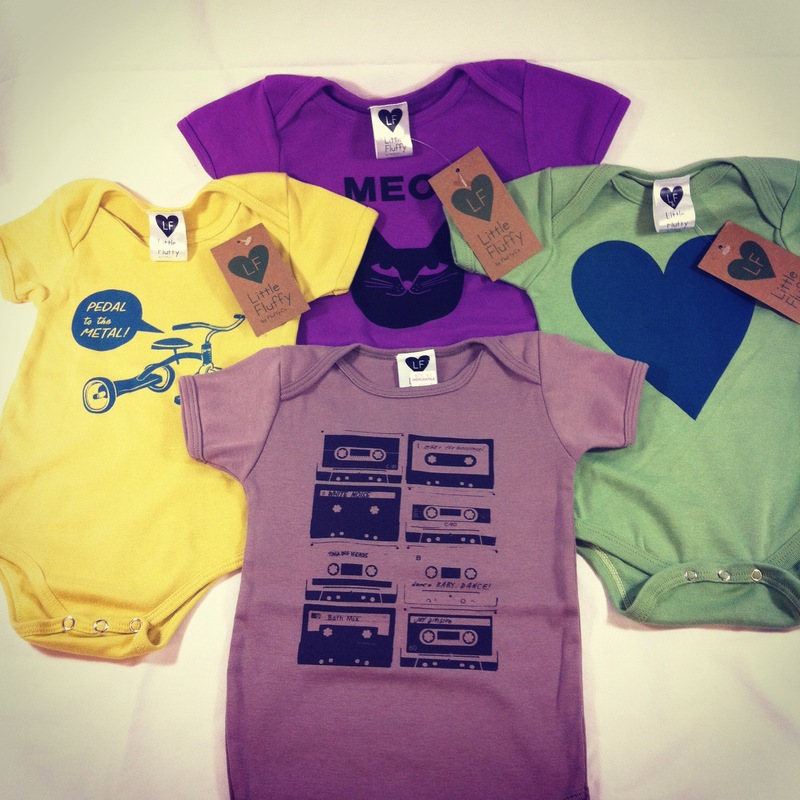 With a soft satin tag and sweet prints inspired by babies, these little clothes are made with a lot of love and care.